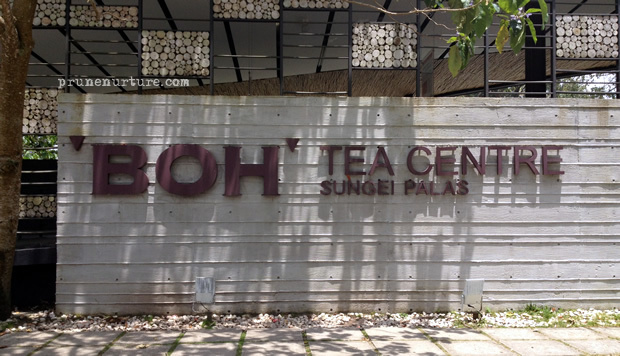 We had to wake up early for breakfast and prepare for our morning half-day nature discovery tour to Sungei Palas BOH tea plantation, the summit of Gunang Brinchang and the Mossy forest. The children were happily doodling at the hotel lobby while waiting for our tour guide to pick us up. 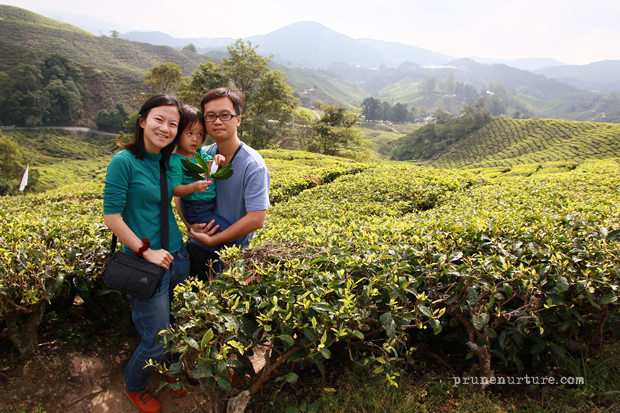 Our tour guide shared with us that it is risky working at the tea plantation as the workers have to climb steep terrain to pick the young leaves. It is a low paying job that locals do not want to do. Now foreign workers has replaced the women, who used to work on the plantations. 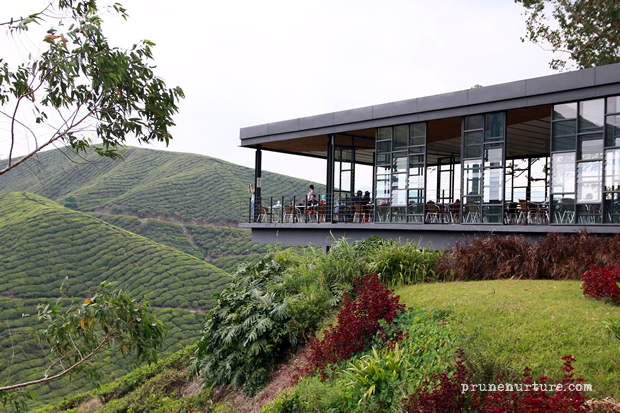 This tea plantation at Cameron Highlands only grows black tea. The best quality of tea leaves is the loose leaves, follows by the tea bags.The lowest grade of tea leaves are used to make flavoured tea. 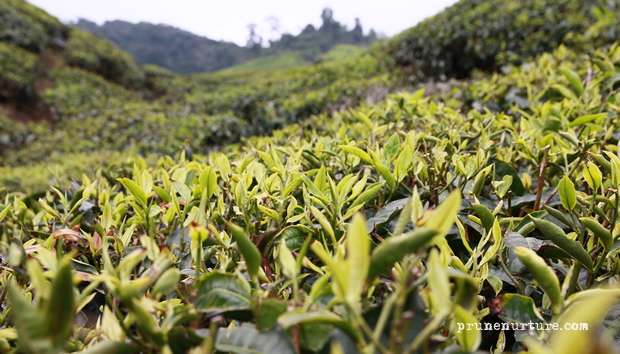 A young tea plant needs about 13 years before it is ready to be harvested and it can grow beyond 100 years old. A tea plant can grow up to 20 to 30 metres tall, if the tree is not pruned. For practical reason, the tea plant is kept short so that it is easy for the workers to pick the young leaves. A visit to the tea factory and the tea centre showed us how tea is been processed from plant to cup. It was misty when the van drove us to the summit of Gunung Brinchang. We could hardly see the plantations and farms below. 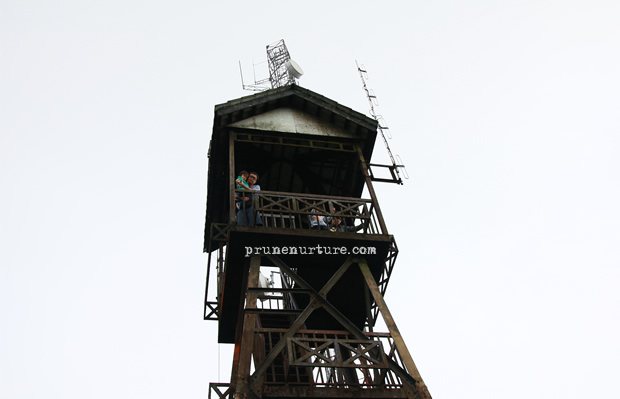 We were led to the viewing tower. 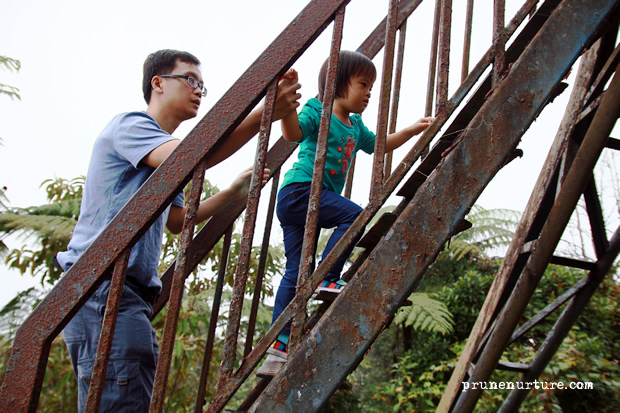 My brave girl was so eager to climb up the viewing tower and her daddy helped her up to the top of the tower while I stayed at the ground level waiting for them. After all had descended from the tower, we headed off for the mossy forest, which is an important water catchment area. I will share more about our experience trekking with our children in the mossy forest in my next post. 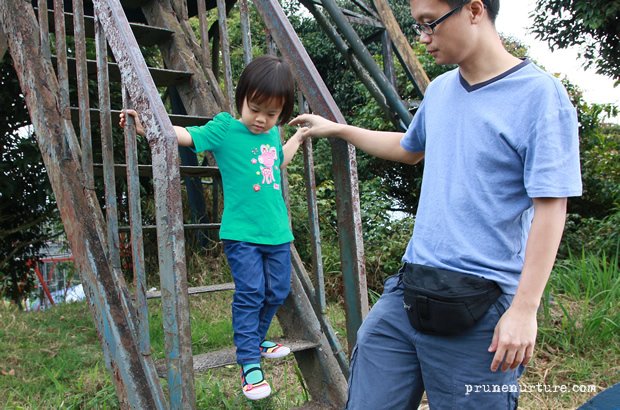 This is part 2 of the 5 series of posts on “Children’s Fashion“. Dot’s outfit is sponsored by Pumpkin Patch Singapore. Hi there! 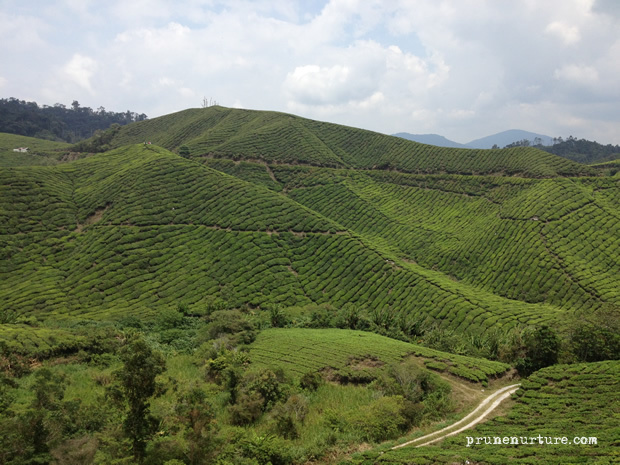 Your posts have been very helpful in my plan for my trip to Cameron Highlands! Could you kindly advise which your company you used and how much it was? Thank you very much!